At ReFresh Aesthetic Center, our goal is to simply make you look and feel your beautiful best with any procedure we perform or products we recommend. THE AESTHETIC MARKET TODAY: Aesthetic medicine today has exploded with so many new or improved procedures and products—it can be overwhelming for both the consumer and clinician. Just pick up a copy of New Beauty Mag and you’ll know what we mean. It’s like being a kid in a candy shop… so much to choose from! When considering aesthetic injectables such as dermal fillers, the market has had a recent growth spurt of new FDA-approved products and treatment areas for the face and body. So, how do you know what’s right for you, or even where to begin? That’s where we come in! Our licensed, certified and experienced aesthetic nurse/nurse practitioner injectors will educate and guide you to the right options for you and your aesthetic concerns. WE HAVE OPTIONS: At ReFresh Aesthetic Center, we only offer FDA-approved dermal fillers that we believe have proven safety and efficacy. Unlike some aesthetic centers, we always offer multiple options when it comes to dermal fillers—this means you may have more than one product that is right for you and your treatment area. No need to feel overwhelmed, though—we will find the right filler to fit your aesthetic goals, budget and how long the desired results can last. WHAT IF I DON’T LIKE THE RESULTS? We want you to love your results! So, you may ask, “What if there is something I don’t like or something goes wrong?” At ReFresh Aesthetic Center, all of our dermal fillers are hyaluronic acid based. This means they are formulated products to mirror hyaluronic acid naturally found in our skin. So, there is always an injectable ‘eraser’ if the product needs to be refined or removed altogether. Even though we are confident you will want to keep that filler where we place it, from both a safety and satisfaction perspective, this is reassuring to know. 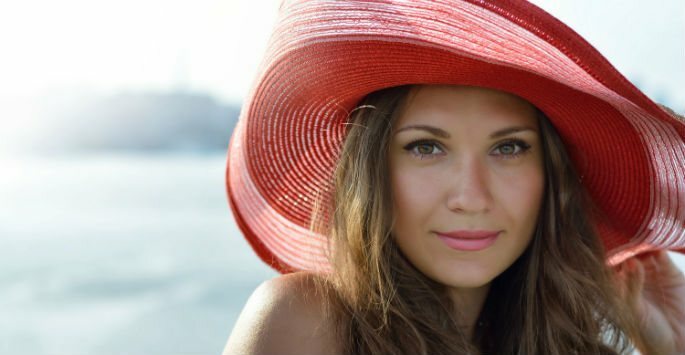 WHAT DERMAL FILLERS ARE OFFERED AT REFRESH? Allergan Products: Juvederm Voluma Juvederm Vollure Juvederm Volbella Juvederm Ultra Juvederm Ultra Plus Galderma Products: Restylane Lyft Restylane Refyne Restylane Defyne Restylane Silk Sculptra Aesthetic (Collagen Stimulator) WHERE DO I GO FROM HERE? The best way to know what’s right for you when it comes to dermal filler options is to schedule a complimentary consultation with one of our Certified Aesthetic Nurse and Nurse Practitioners. They all look through the same ‘aesthetic eyes’ to recommend where to begin, what dermal filler products are right for you, and what your investment will be. At ReFresh Aesthetic Center, our goal is to partner with you on your aesthetic journey. We wear our faces every day, so why not protect and refresh our greatest assets?